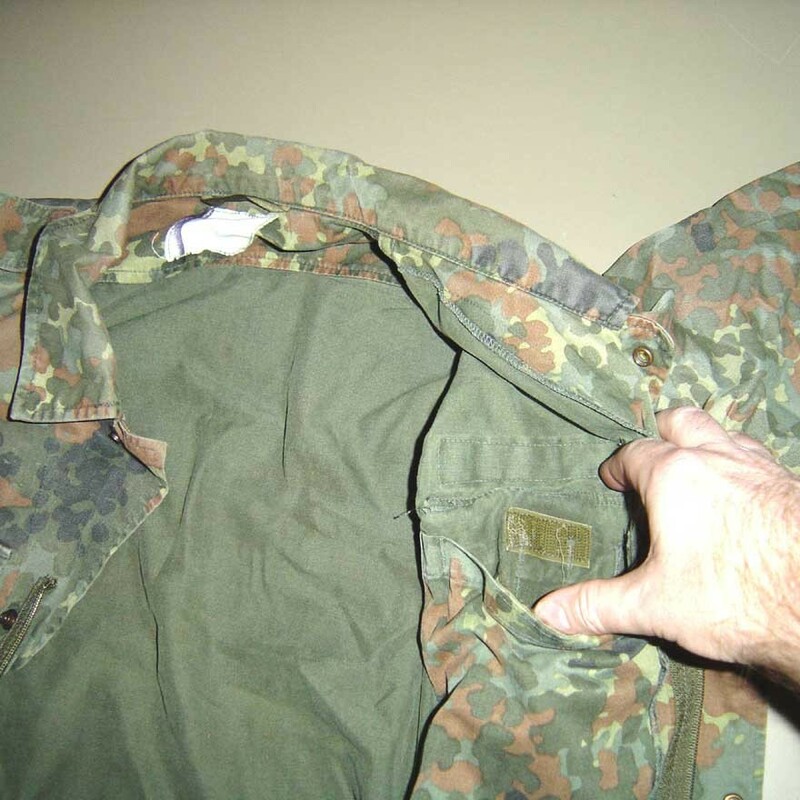 100% Cotton twill, pre-shrunk, German Flectarn camoflauge shirts and pants. 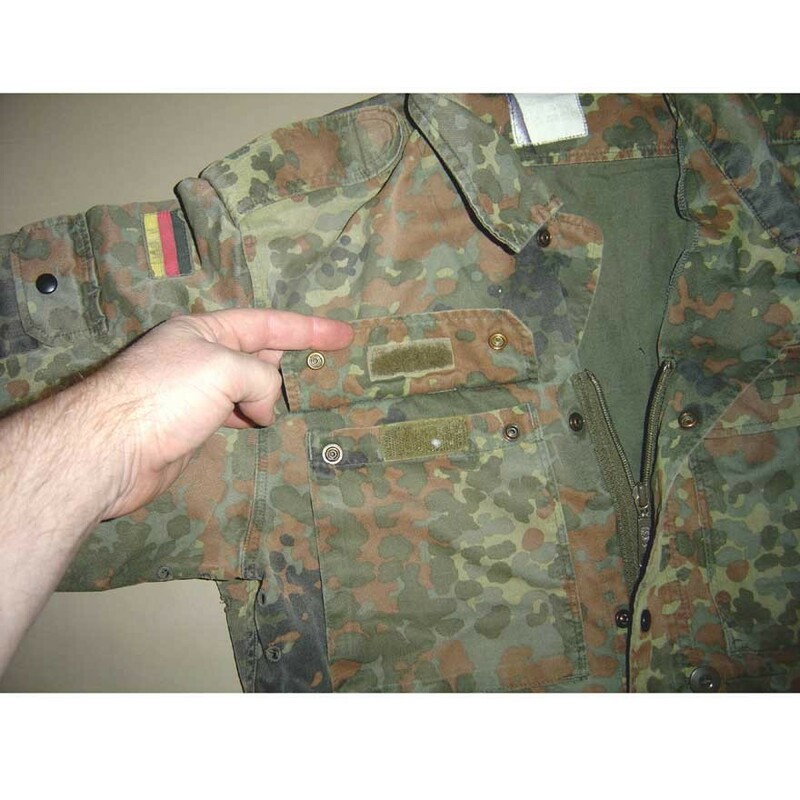 The German Flectar shirt is soft and strong. 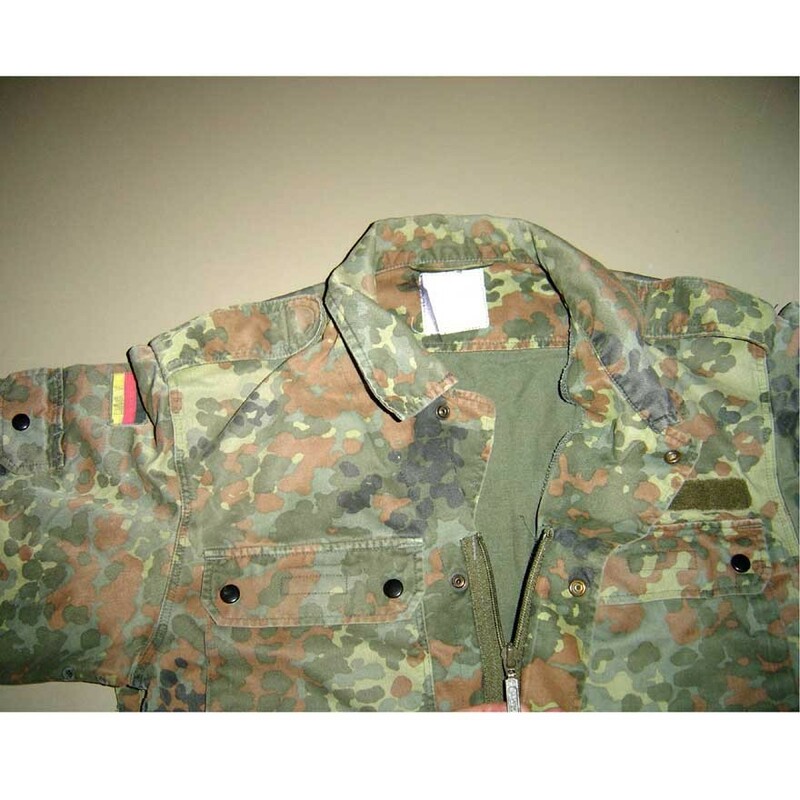 Flecktarn (also known as Flecktarnmuster, Flecktar, Flectar, or simply Fleck) is a 5-colour disruptive camouflage pattern, comprising black, dark green, grey-green and rust-red clumps and spots on a light green background. 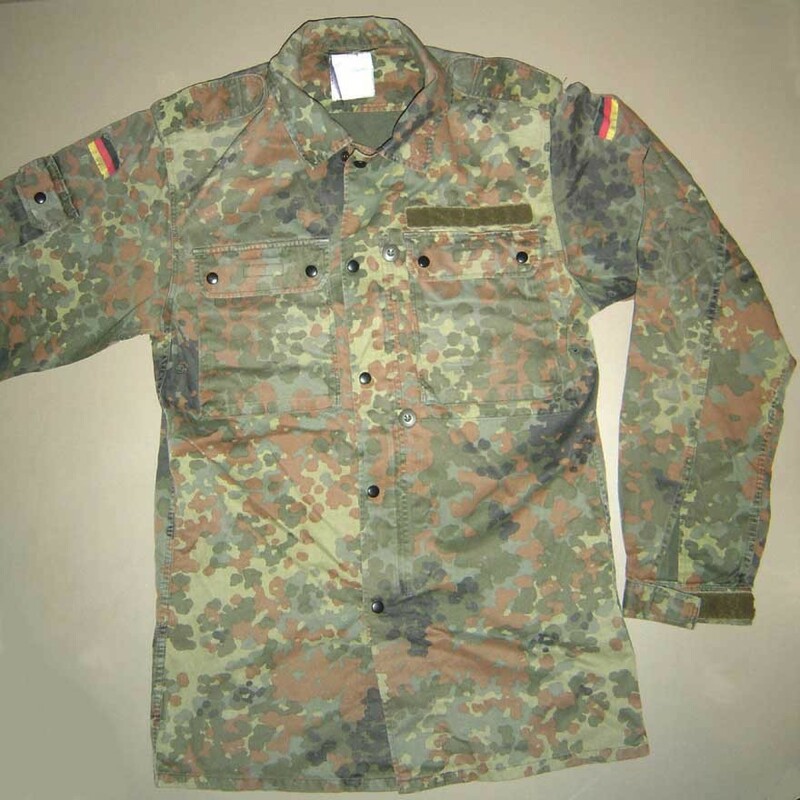 The use of spots creates a 'dithering' effect, which eliminates hard boundaries between the different colors in much the same way the squares in the newest digital camouflage patterns do. 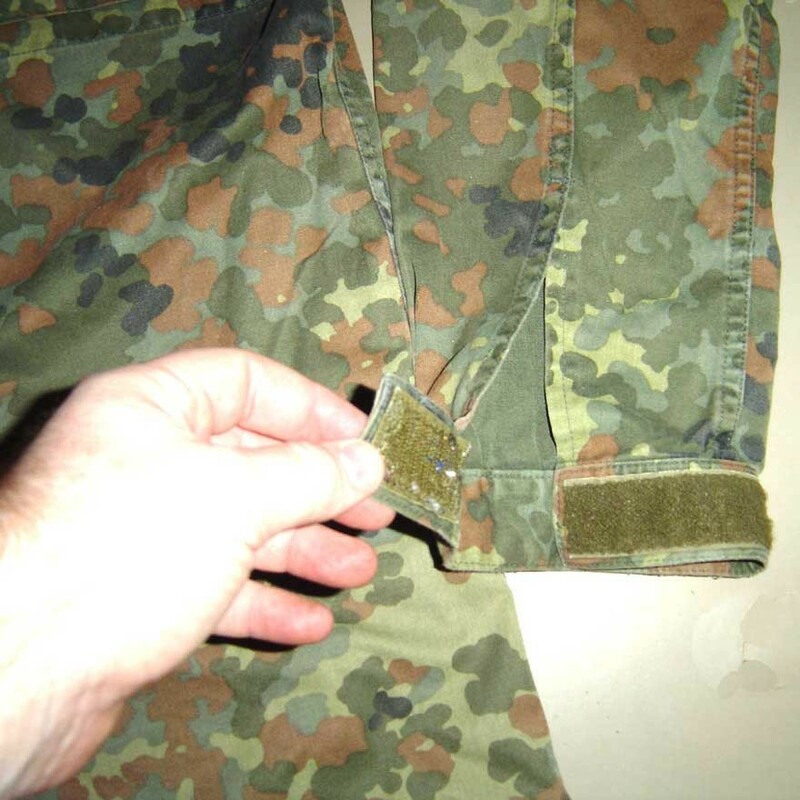 The pattern is designed for use in temperate woodland terrain. It has been adapted as desert camouflage by varying the colors.